I’m Ed Smith, a Merced personal injury attorney. Officers from the Merced California Highway Patrol (CHP) responded to the scene of a two-vehicle collision at the intersection of Arboleda Road and Highway 140 on April 18, 2018. At the location, they discovered an overturned Chevrolet Tahoe SUV and a Chrysler minivan with front-end damage. The Chrysler driver informed the officers that he had been traveling westbound along Highway 140. He said he did not stop his vehicle at a controlled four-way sign. The Chrysler allegedly collided with the passenger side of the Chevrolet, which entered the intersection after stopping at the marked limit line. Responding paramedics transported both occupants of the Chevrolet to an area hospital for treatment while one of the six occupants of the Chrysler was taken to a hospital in Modesto. An update on the extent of injuries sustained has not yet been released to the public by authorities. Rear-End Collisions: Sometimes caused by a driver who is texting. Head-On or Frontal Crashes: Front-end impacts can result in a variety of serious injuries such as rib fractures, cardiac contusions, spinal cord injuries and traumatic brain injuries. Side Impact Collisions: Among the most serious type of motor vehicle accident where the side of a vehicle absorbs impact from another car. Oftentimes, significant side impact can cause traumatic injuries despite airbag deployment. T-Bone Accidents: Also referred to as intersection accidents, which can be catastrophic in nature. These crashes often transpire when someone tries to pass a yellow traffic light or fails to stop at a stop sign. When a car accident causes an individual to suffer any type of injury, they may be able to receive compensation for economic and noneconomic damages. Economic damages refer to the financial loss caused by expenses associated with the accident whereas noneconomic damages reimburse an injured person for psychological and emotional damages. Medical Costs: Expenses for reasonable and necessary medical treatment incurring from an accident can be recovered. Types of expenses include physical therapy, diagnostic testing, surgery, prescriptions, medical appliances, hospitalization and other treatment. Loss of Earnings: Wages a person should have earned had he or she not been injured in an accident can be recovered. Other earnings entitled to recovery may include fringe bonuses, commissions, benefits, and future lost wages. Disfigurement: If an injury causes unsightly marks and/or scarring, a victim may be entitled to restitution for embarrassment or humiliation related to the disfigurement. Emotional Trauma: Also known as mental anguish, it is not uncommon for victims involved in traumatic accidents to experience a wide array of emotions. Compensation for emotional injury varies on the extent of trauma documented in the patient’s medical records. Loss of Consortium: This typically compensates the spouse of the claimant for deprivation or loss of affection, comfort, emotional care and support, love, and services. I’m Ed Smith, a Merced personal injury attorney. 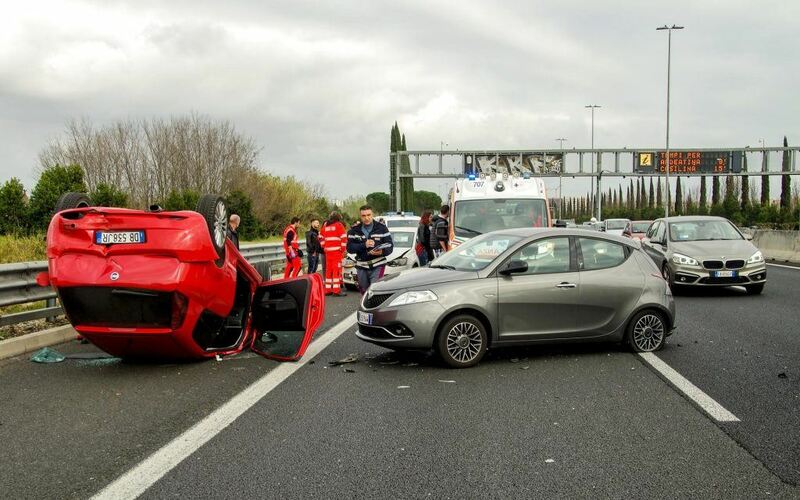 Car accidents can cause a wide array of injuries to those involved. If you or a loved one has suffered an injury due to the fault of a negligent driver or entity, please feel free to contact me anytime for free, friendly advice. I can be reached at (209) 227-1931 or toll-free at (800) 404-5400. I belong to the Million Dollar Advocates, an association of trial attorneys with client verdicts and settlements of one million dollars or more in value. Please feel free to browse some of my Verdicts and Settlements.